I always admit to being a sucker for historical plaques. Recently I was walking through SoHo and found myself on Sullivan Street. 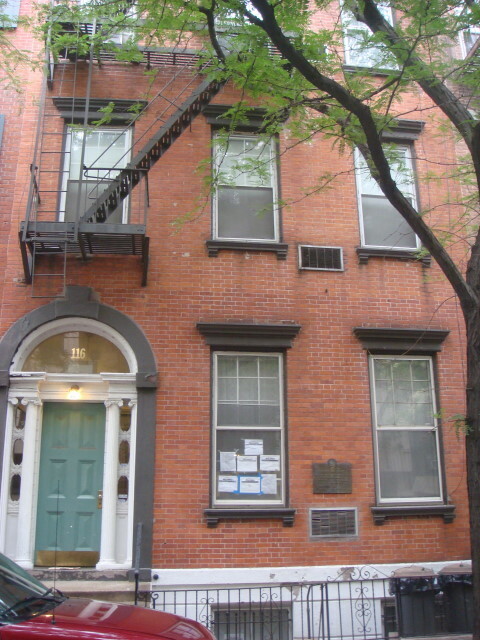 As I walked by the below house, I spotted a plaque and had to check it out. 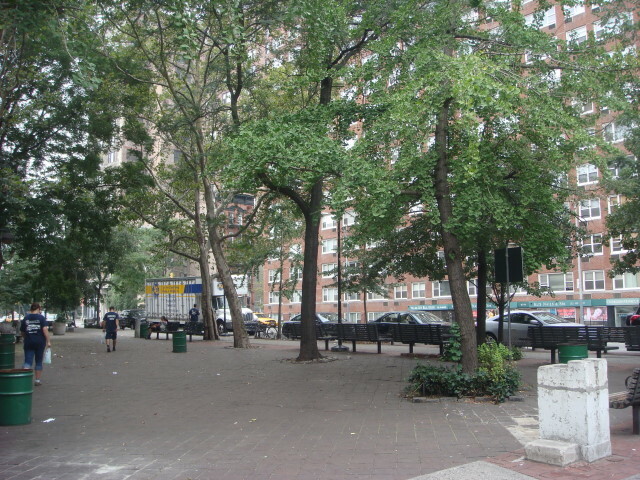 It runs out that Sullivan Street is named after Revolutionary War General John Sullivan. He’s also the source of the names of several counties in a couple of states. I hadn’t heard of him before. The Wikipedia entry is rather amazing on this guy. He apparently was a tough guy and had as many enemies in the Continental Congress as he did on the British side of the conflict. He was continually blamed for a number of failures and the entry indicates that he took a lot of the flack that would have normally gone to George Washington, except that criticizing him would have risked failure in the war. He was also tough on his own men and the enemy. There’s a town in NY called “Horseheads” that’s named for the slaughter of pack animals in Sullivan’s army that were pushed to their limit. Rather than leave them behind, he had them killed and their bleached skulls became the namesake of the town. And he is remembered for a total war against the Iroquois who had sided with the British. After all that, the house and the plaque have nothing to do with John Sullivan. 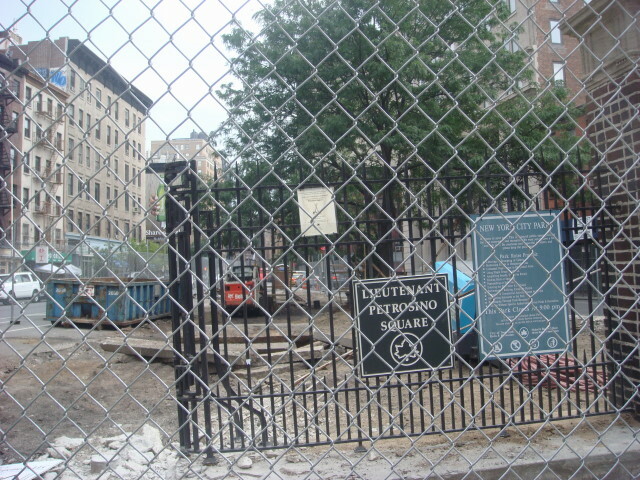 Instead, the plaque notes that the historical item of note is the three surviving federal style buildings that are there. 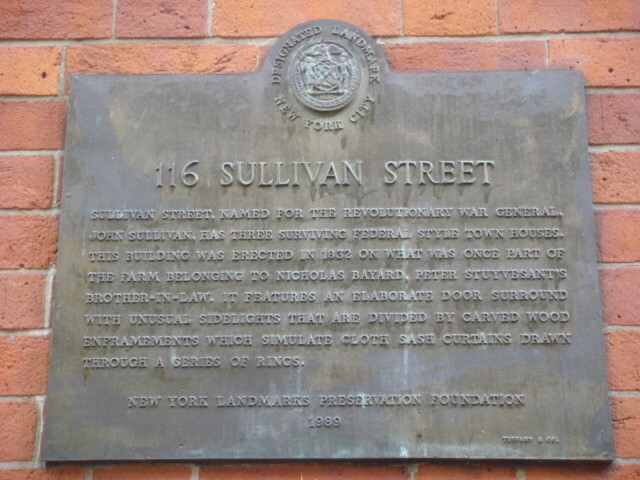 Build in 1832, Sullivan had been long dead at that point. But, to be honest, I like the story behind John Sullivan more than the details on the plaque. In yesterday’s post, I mentioned that I know of at least one more place to buy a good skull. 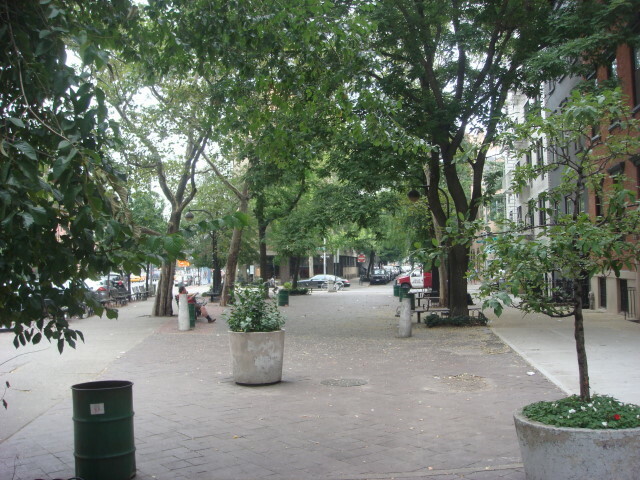 That got me thinking that it’s been a while since I was down in SoHo (South of Houston Street, on the center-to-west side of Manhattan). So, I went. And, yes you can still buy skulls and bones and whatnot. 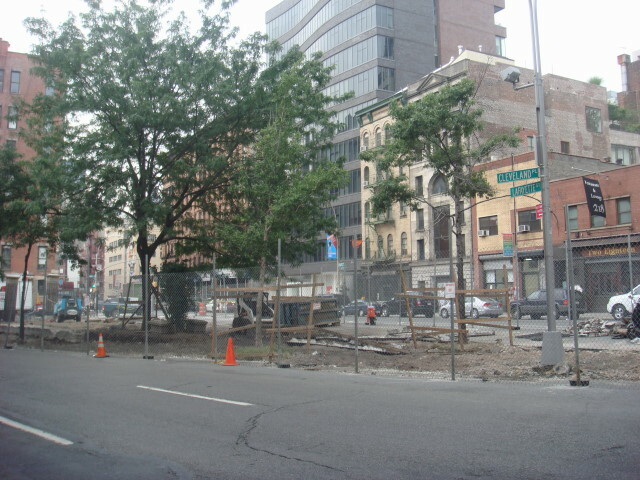 Evolution is on Spring Street and it almost defies a simple analysis of what it contains. But that won’t stop me. It’s kid heaven. Yeah, that’s the simple analysis. More detail? Okay, it has skulls (human and animal) and bones (human and animal) and bugs and meteorites and weird seeds and more bugs and scorpions and scorpions embedded in candy and fossils and warthog skulls (they deserve their own mention) and weird rocks and metallic rocks and metallic fossils and all of that in a tiny little place maybe 40 feet deep and 15 feet wide. Wow. All of that in one horrid sentence. And I didn’t even mention the crowds that come to take a look. When I went there today, I was the first one in; but not by much. I had thought it opened earlier (it opens at 11am) and there was a father and two kids already waiting to get in. The girl (maybe 7?) was outside the store with her face just plastered to the window looking in at the treasures. The boy (maybe 3) was a little more placid about a closed door. I moved on and came back just after 11am and the family had gone on and returned before me. The girl was basically just beside herself with excitement. 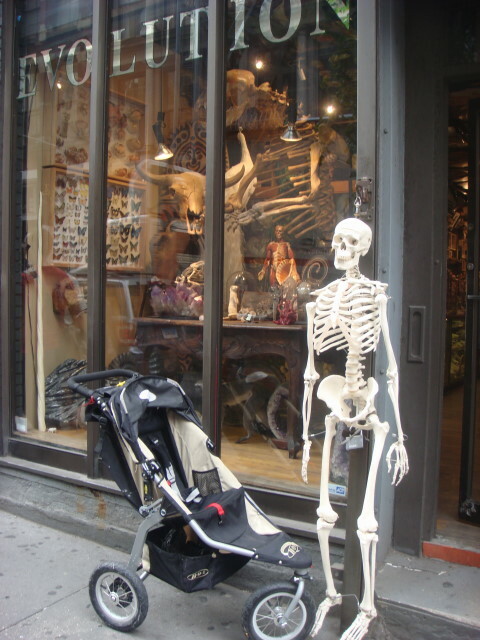 As the owner/manager came and unlocked the door; the father worked to get his son out of the stroller (it’s the one in the picture, but the skeleton came out after they had entered the store). I’m not sure of the family dynamics, but it looked like the girl’s excitement was a bit tempered by the fact that her dad wasn’t quite ready to go in with her and there was no way she was going to go in there without him. Hey, there’s a lot of dead things in there! Dad’s are needed for that; despite the excitement of it all. But they did come in and that little girl then seemed to spend her time right up against the counter displays. It’s kid heaven and she had arrived.